HIPs: Another failed Government scheme, that made some money for them but also upset the property market for introducing too much red tape. They are now “removing unnecessary regulation” and having it replaced with a bunch of other EPC rules, which seems like yet more ‘unnecessary regulation’! It doesn’t matter who’s at 10 Downing Street, you will still have to keep up with unecessary rules and regs to justify keeping paper pushers in work. Read the report below. Mr Pickles today laid an Order suspending HIPs with immediate effect, pending primary legislation for a permanent abolition. The Secretary of State has taken this swift action in order to avoid uncertainty and prevent a slump in an already fragile housing market. Today’s announcement sends a clear message of encouragement to people thinking of selling their home that they can put it on the market with less cost and hassle. Mr Pickles and Mr Shapps also said that the Government is determined to help people reduce their energy bills, improve our energy security and tackle climate change by increasing the energy efficiency of their homes. 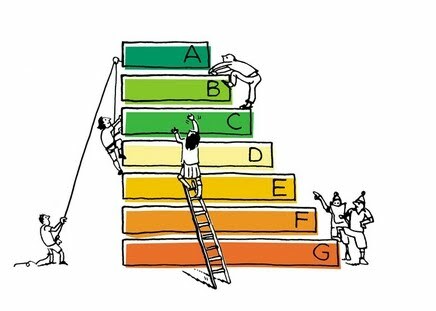 Sellers will therefore still be required to commission, but won’t need to have received, an EPC before marketing their property, and the Government will consider how the EPC can play its part in the new drive for a low carbon and eco-friendly economy. “The expensive and unnecessary Home Information Pack has increased the cost and hassle of selling homes and is stifling a fragile housing market. “That’s why I am taking emergency action to suspend the HIP, bringing down the cost of selling a home and removing unnecessary regulation from the home buying process. “This swift and decisive action will send a strong message to the fragile housing market and prevent uncertainty for both home sellers and buyers. Today’s move is part of delivering a key manifesto comment made by both parties in the new coalition Government. It will mean that sellers will no longer be told they have to buy a HIP before putting their home on the market, but they will now have the choice to provide one if they want to. “This is a great example of how this new Government is getting straight down to work by cutting away pointless red-tape that is strangling the market. Rather than shelling out hundreds of pounds for nothing in return we’re stripping away bureaucracy and letting home owners sell their properties. 2. Home Information Packs (HIPs) put sellers of residential properties in England and Wales under a duty to provide a pack of standard information to potential buyers when marketing the property for sale. 3. The duty was introduced in three phases, depending on the size of the property, starting in August 2007 and ending in December 2007. 4. The duties relating to HIPs are set out in Part 5 of the Housing Act (sections 155 to 159). The Government has decided to suspend the HIP duties with immediate effect pending their outright abolition at the earliest opportunity. 5. The effect of this is to provide that sellers and estate agents are no longer required to have or to provide copies of HIPs with effect from 21 May 2010. I am a HIP provider – will I get compensation? No. The present Government (Conservatives and Liberal Democrats) have consistently opposed the introduction of HIPs and promised to abolish them in their respective manifestos. Important to note that only requirement to provide a HIP is suspended. Sellers are free to choose to provide information to buyers on a voluntary basis and HIP providers can offer such products. Thousands of people involved in the production of HIPs will now lose their jobs? It is not good enough to carry on with a policy that is both unnecessary and costly, purely on the basis of providing job security. HIPs are not providing value for money for sellers or for buyers, so we should not continue burden to the market with this extra layer of bureaucracy. HIP providers could still have a part to play in the housing market offering as buyers and sellers will still require Energy Performance Certificates (EPCs), evidence of title and local searches. I am a Home Inspector and abolishing HIPs means that there is no possibility of using my qualifications? There is work available to Home Inspectors who are accredited energy assessors in producing domestic EPCs which continue to be required for rental properties and properties marketed for sale. Will the Government compensate Home Inspectors? We appreciate that abolition of HIPs would remove the option of compulsory Home Condition Reports. However, when the Government was in opposition they made it clear that they opposed HIPs and set out in their manifestos plans to abolish them if elected.